Srinagar, September 3 (KNO) : Joint Resistance Leadership comprising Syed Ali Geelani, Mirwaiz Umar Farooq and Mohammad Yasin Malik held a crucial meeting at Hyderpora. The leadership commended people on their steadfastness and unity in strongly opposing the tinkering with hereditary state subject law being challenged in the Indian Supreme Court by anti Kashmir agencies and organizations. 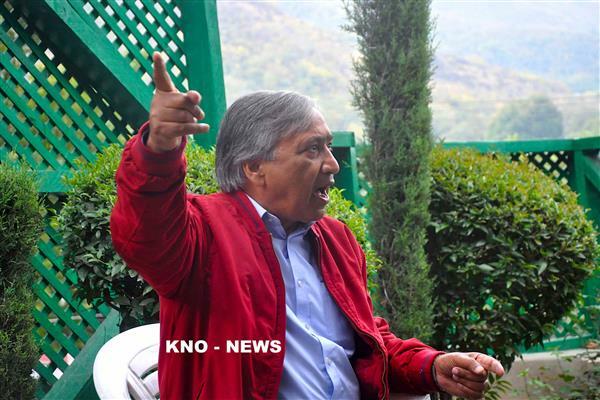 They said people of J&K have always stood up and resisted every move of occupation and subjugation thrust upon them. 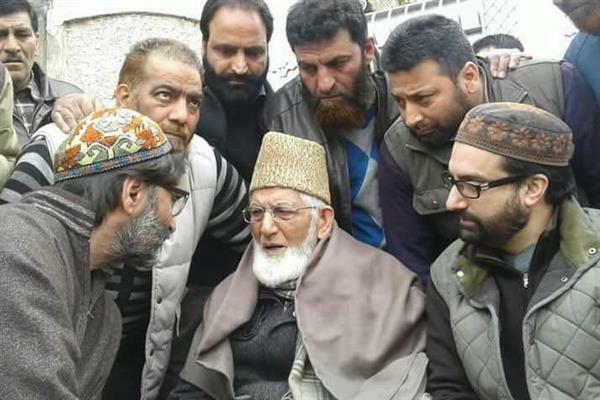 JRL said that It speaks volumes about the courage and character of the Kashmir nation that despite all out assaults by the Indian state with the assistance of local collaborators; NC, PDP and all others through extreme repression propaganda and subversion this small nation is firmly and consistently engaged in the pursuit of its goal ;the fundamental right to decide its destiny, the Right to self-determination. The heart rendering sacrifices and resistance being offered by a people young and old men women and children especially during the last 30 years is our asset and guiding light that we can never betray. They said that the followers of Chanakya are using all means and methods in the book to maintain their authority and forcibly rule over us. 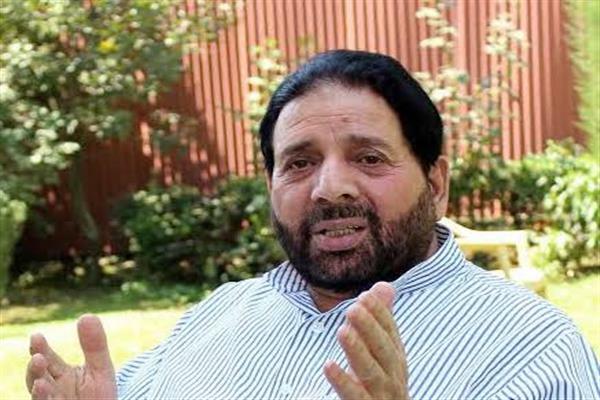 Leadership said that Kashmiri’s continuously bear the brunt of daily crackdowns by eight lakh Indian forces stationed in every nook and corner of the state especially the valley, in the form of killings incarceration harassment and repression. Each day a new assault is launched against us, to pin us down and tire us out. lately we are being threatened through the judicial route where our very identity and disputed status is being put at stake by proposing to alter the demography of our state. While the Damocles sword is kept hanging over us on this issue, they now want to thrust and enforce panchayat and municipal elections upon us through additional deployment of lakhs of forces under the pretext of “lapse of developmental funds “. Leadership said It can’t get more ironic. They said that surely GOI is not so gullible as to think that despite all the physical and psychological pain and trauma that they inflict on people of Kashmir any Kashmiri will buy their “lapse of funds for development “argument and willingly participate in this act of manipulation and deceit. These enforced elections are nothing but another assault on people to harass them and cause them further inconvenience and agony. Quoting a former panchayat chairman who said to a newspaper “They (GOI) only want to hoodwink the world by telling it Kashmiris have faith in democratic institutions. 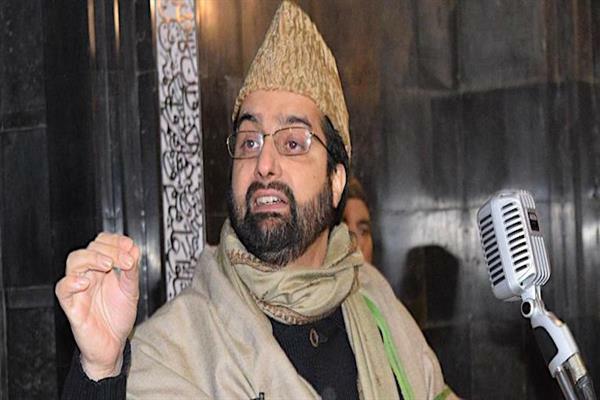 It hardly matters for them if people get killed in the process,” JRL said that people of Kashmir know too well that when it’s comes to J&K all power rests with New Delhi and all decisions flow from there. So much so that, in 70 years since 1947 J&K is a colony ruled by India. Each so called “election “ that has been held here from panchayat to Indian parliament has only been a means to further strengthened that power centre and in turn New Delhis hold on J&K, and steadily but surely weaken the sovereignty of the people of J&K. 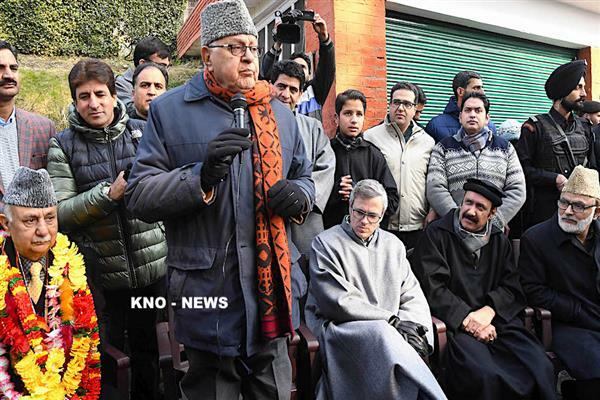 Any participation in them is propagated as people’s verdict in favour of India and hence they are used as a means to dilute J&K disputed status and undo the holding of a referendum as promised by India at the UN. These so called elections only bring prosperity to an opportunist class of people whom India has patronized in Kashmir like snakes being fed milk, while selling these so called elections to the people of India and the world as an endorsement by the people of J&K to Indian rule. JRL said that leadership wants to convey to GOI the loud and clear message by the people of Kashmir that they boycott any kind of participation in elections and instead only demand Right to self determination: People’s slogan: NO TO All ELECTION ONLY RIGHT TO SELF DETERMINATION!